In an age where many functions in life are ‘going digital’, more and more people are choosing to send Christmas greetings to friends and family through online and mobile platforms, rather than the physical act of posting an envelope in a box at the end of the road. Today, there are plenty of free websites where you can design and send free e-Christmas cards in minutes. And some people won’t even bother with that hassle – they’ll simply log in to their Facebook and twitter accounts on December 25th and send a few lines of text wishing their friends and followers a Happy Christmas. 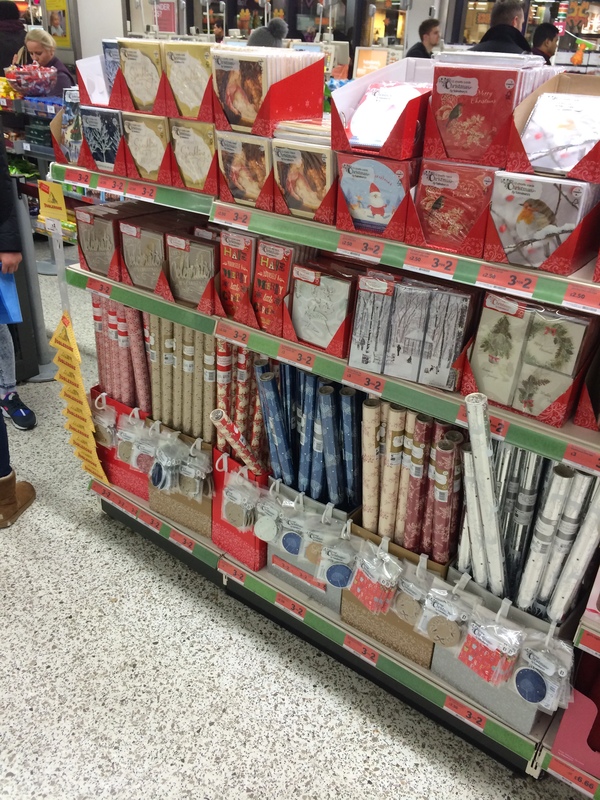 But not all are completely ditching Christmas cards however. Hands shot up in the air at a talk about this very tradition at the British Postal Museum and Archives in Clerkenwell when the lecturer asked how many would send more than 50 cards this year. Many kept their hands up when that was extended to 100. Some even planned to send more than 150 cards. And you wonder whether those that were even more fanatical about sending Christmas cards were at home however – too busy to leave their kitchen table because they are so busy hand writing messages to all their friends and family…. The fascinating talk, Glad Tidings: The History of the Christmas Card, given by Steph Mastoris took the history right back to when the first Christmas cards were commissioned by Sir Henry Cole in 1843 (although there have been earlier claims). It was a one-sided design (they only became hinged in the 1880s) showing three generations of a family raising a toast to the card’s recipient: on either side were scenes of charity, with food and clothing being given to the poor. Mastoris made the point that Cole’s first cards – of which only one thousand were printed – were released in the same year that Charles Dickens’ novel, the Christmas Carol was published. Both were part of the re-invention of Christmas, a tradition that had been in decline since the late 18th century, and brought back to life by the Victorians. But in reality, both Cole’s commission and Dickens’ novel were ahead of their time. The Christmas card didn’t really take off until printing processes improved in the 1860s / 70s so that colour and an array of different textures could be used. And the idea – popularised by Dickens – of whole families coming together to celebrate Christmas also didn’t really start to take place until the late 19th century. Until an 1871 Act made Boxing Day a public holiday, most only had one day off for Christmas before they needed to return to work. And it wasn’t until the advent of the railways that workers could travel in a time efficient and more affordable way to reach their families. Many Christmas card manufacturers grew out of companies that produced playing cards. 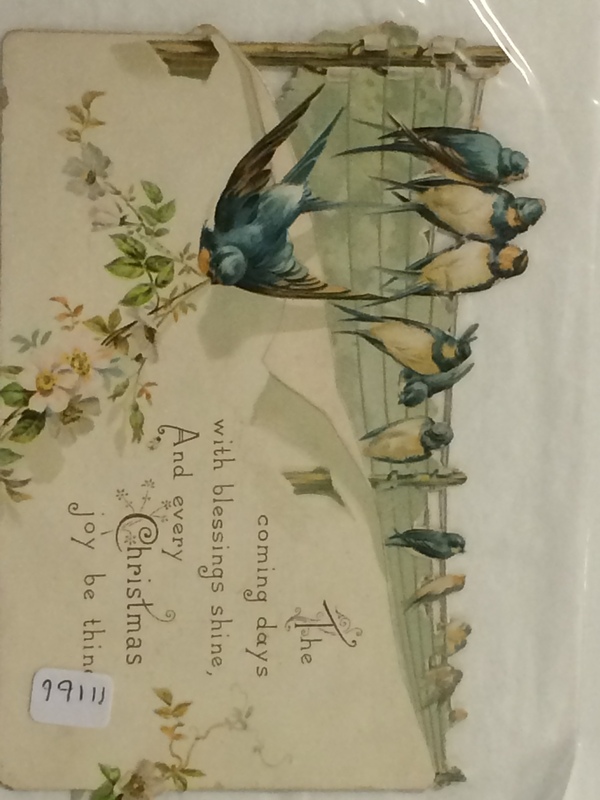 Charles Goodall and Co of Camden Town was said to be the first business to make Christmas cards. And over the years, the designs have become more and more varied, often reflecting our changing society. As well as displaying a variety of wintery and religious scenes, they’ve often featured humorous scenes (including that of Father Christmas, ‘invented’ in the 1890s, in a variety of poses such as a quirky one in Mastoris’ collection of him on a motorbike, with a side card). And during the World Wars, many of the images were patriotic. After the Second World War, Unicef brought out the first charity Christmas card, an area which is now estimated to be 80% of the market. Selling these designs represents an important revenue stream for many not-for-profit organisations and supermarkets are full of these cards. Through the 20th century, the production of Christmas cards evolved and stationery manufacturers considered it a profitable business. But now with new digital techniques, it’s questionable as to what the future holds for the tradition of sending families colourful designs. But research commissioned by Royal Mail last year found that 72% of people prefer to receive a traditional card to any electronic festive greeting sent through social media channels. And the Greeting Card Association’s Greeting Card Market Report 2014 estimates that card market as a whole increased by 5.4% year on year. 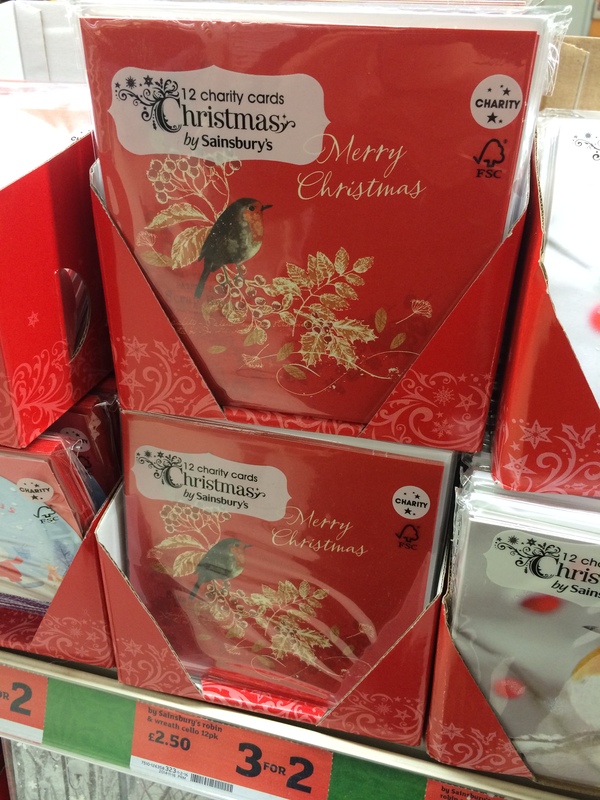 It also says the “Christmas Boxed” market has a volume of 900m cards and a value of around £200m. And judging by this week’s headlines however they are still a central part of our lives right now. 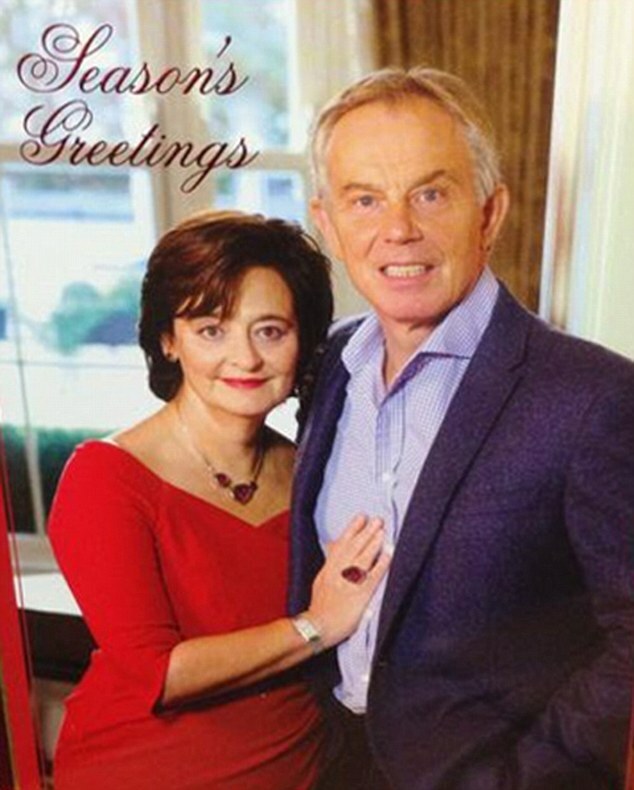 Although whether former Prime Minister Tony Blair will be sending cards next year is debatable. He’s been ridiculed this week for his “terrier teeth” and some say he wife Cherrie has been superimposed onto the picture. Maybe he’ll be choosing his distribution lists a little more carefully next year.